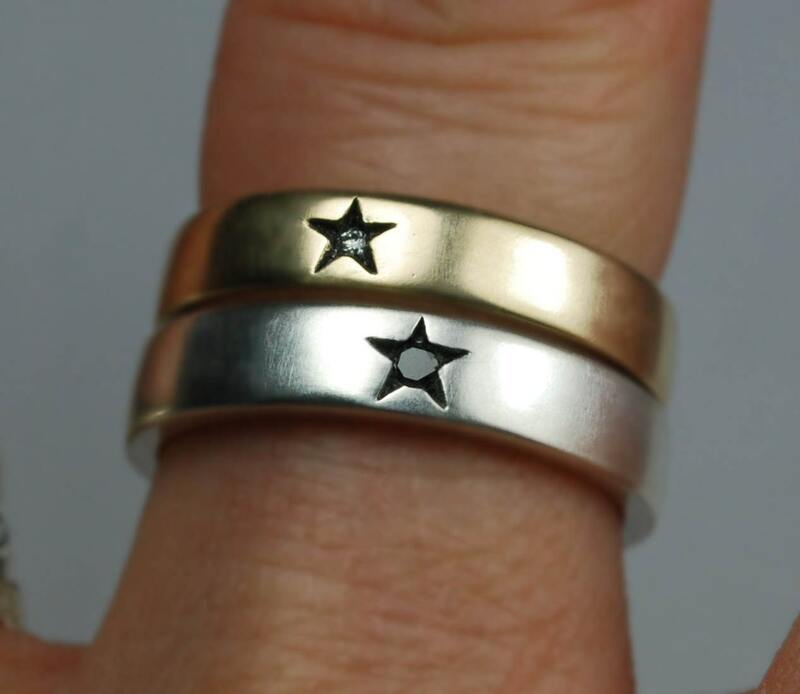 Cast in yellow, white or rose 10 karat gold each ring is set with a 1-1.3 mm black, white or champagne diamond in the center of a small blackened incised star (Star measures approx. 3.5mm x 3mm). 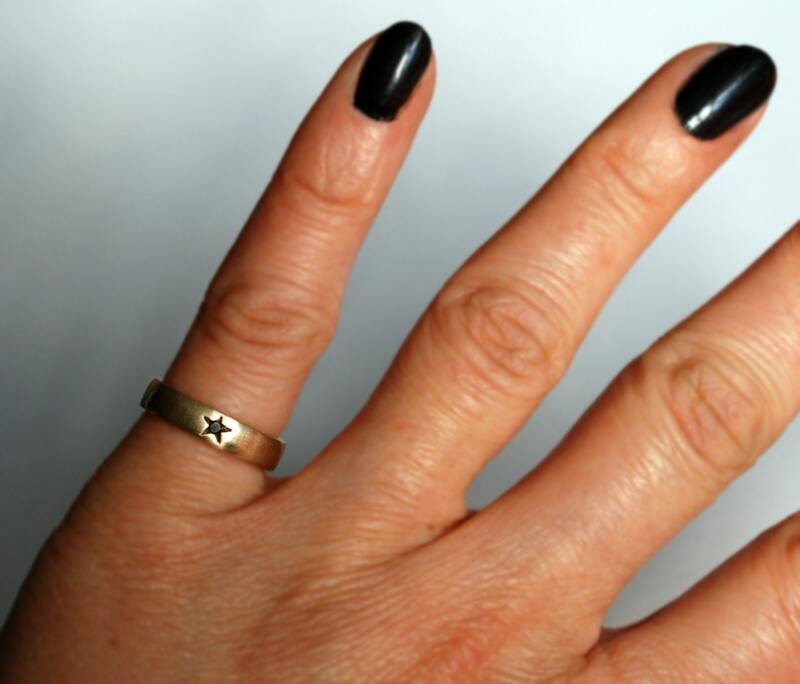 They are finished with a satin polish which over time with wear will burnish into a rubbed glow. Available in US sizes 3.5- 7. 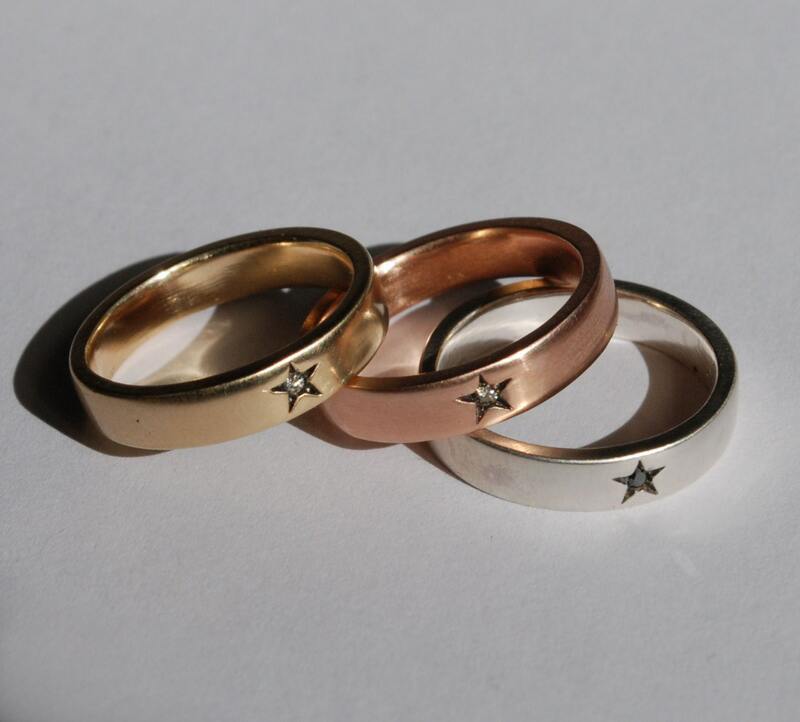 If you need a different size or would like a ring made in a higher karat gold (14k or 18 k) please contact me. 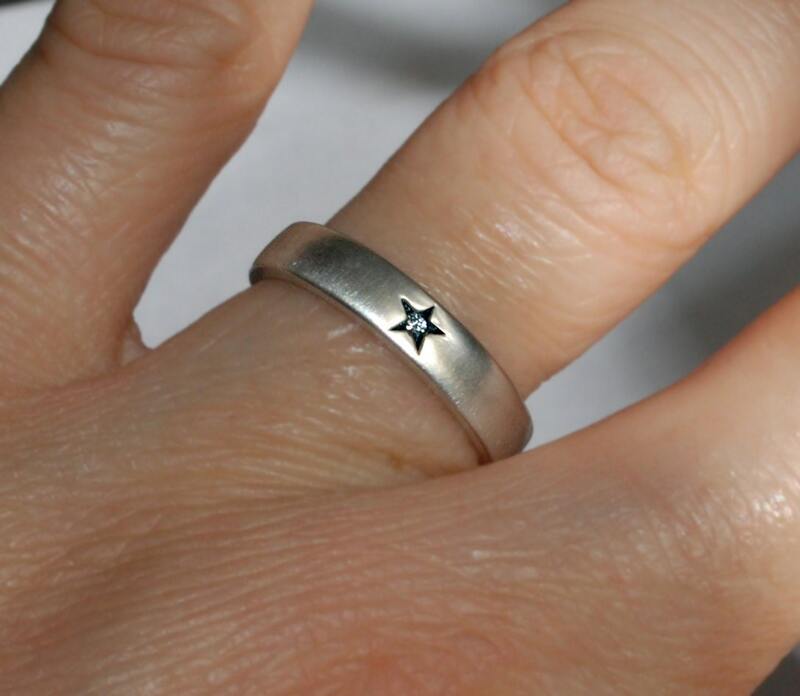 Rose with black- rose gold with black diamond in center of little black star. 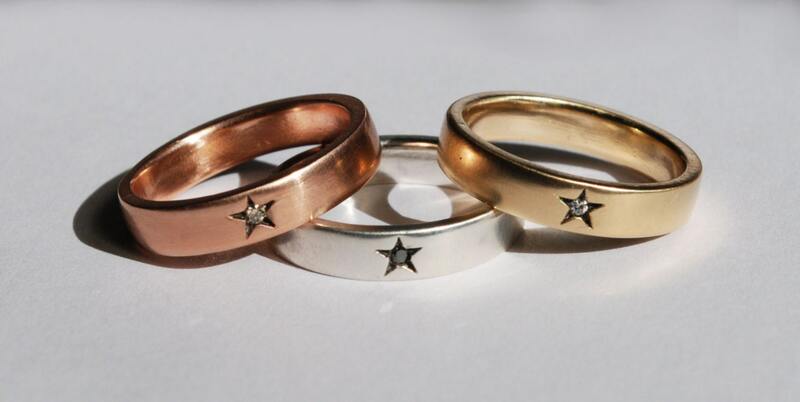 Rose with champagne- rose gold with champagne diamond in center of little black star.